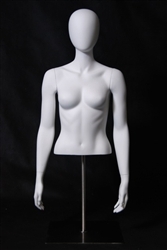 Clear Female 3/4 Torso Form. Stands on its own. Made of unbreakable plastic.